While Google Apps is making some big strides in selling to business customers, Microsoft Office is still the de facto standard in software for getting work done. 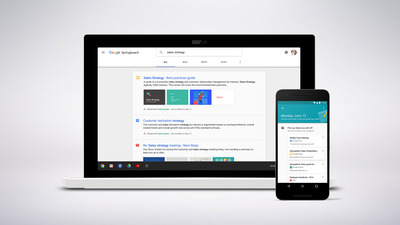 But there’s one thing that Google is, and has always been, better at than its rivals at Microsoft: Search. In fact, Google boasts, it’s been providing search solutions to businesses for the last 15 years. “We’re not new players by any means,” says Google Director of Product Management Ryan Tabone. 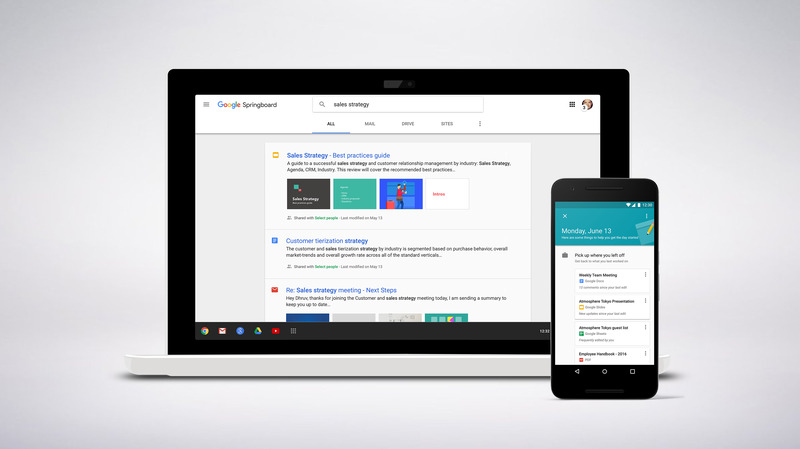 On Monday, Google is turning that expertise into a nifty new product with Springboard, a tool for its Google Apps for Works customers, that lets you search all your data across the whole suite of Google productivity tools. Springboard is only open to a few customers today, but Google is planning for a wider release down the line. It’s a good time for Springboard, says Tabone, because people are generating more data than ever before. We already had a lot of emails and documents to sort through on our PCs. With phones and tablets making it easier than ever to make more documents, it’s getting to be a critical mass. GoogleGoogle Springboard, on the web browser and on an iPhone. Enter Springboard, which not only helps you search, but also automatically suggests files for you, either based on the last things you were working on, or using Google’s artificial intelligence acumen to guess what file you need at any moment. “The idea is you shouldn’t have to think about it, it should just work,” Tabone says. 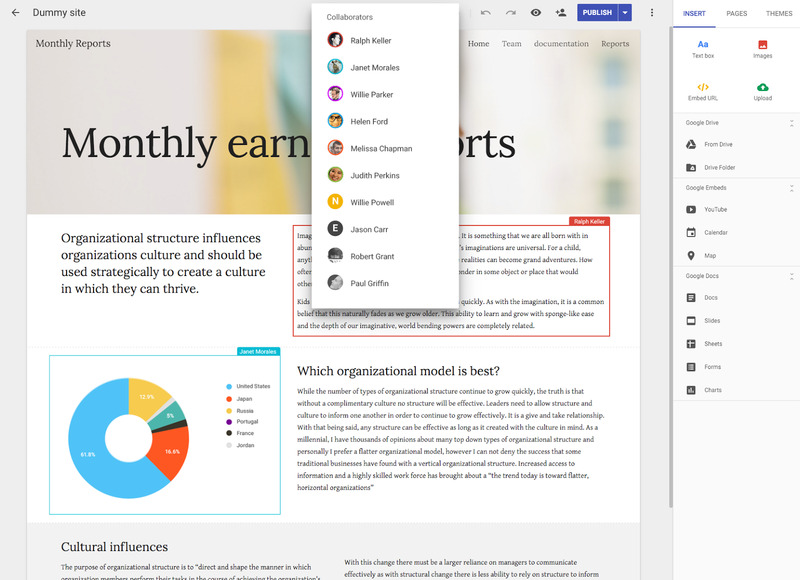 Along similar lines, Google also unveiled today a new and souped-up Google Sites website building tool for the business, also in early preview. 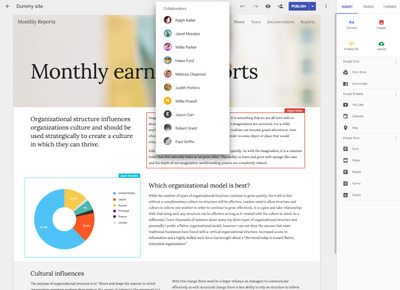 Where the original Google Sites “is tailored to power users,” Tabone says, the new one is really meant to help anyone quickly and easily build a website. Part of that is a tool that uses machine learning to automatically suggest graphic design elements for your site. For instance, if you change the background image on a site to something dark, it will automatically make your text brighter and bolder so it remains legible, while tweaking the overall colour scheme so it’s all complementary. “These things are possible because of our lead in machine learning,” says Tabone. Microsoft, too, is investing in machine learning, with AI-powered features coming to Office. But Tabone is confident that Google’s expertise at search in general and artificial intelligence in particular sets the company apart. In fact, Tabone says that it’s kind of flattering that Microsoft is using artificial intelligence. “It’s nice to know we’re thinking about the problem in the same way,” Tabone says.